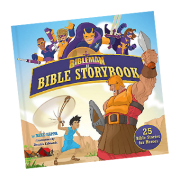 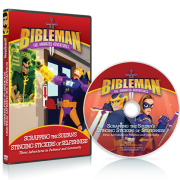 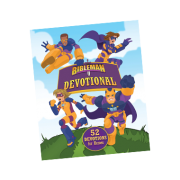 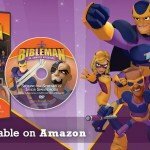 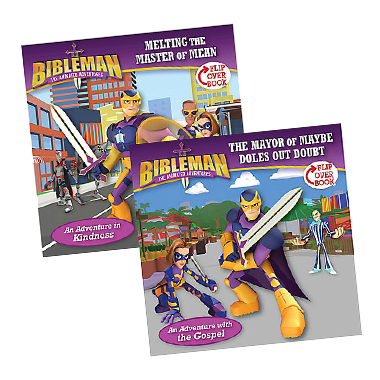 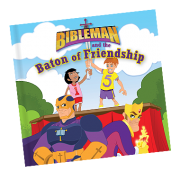 When you open this Bibleman Flip-Over book, you'll find two exciting stories and learn two lessons from God's Word! 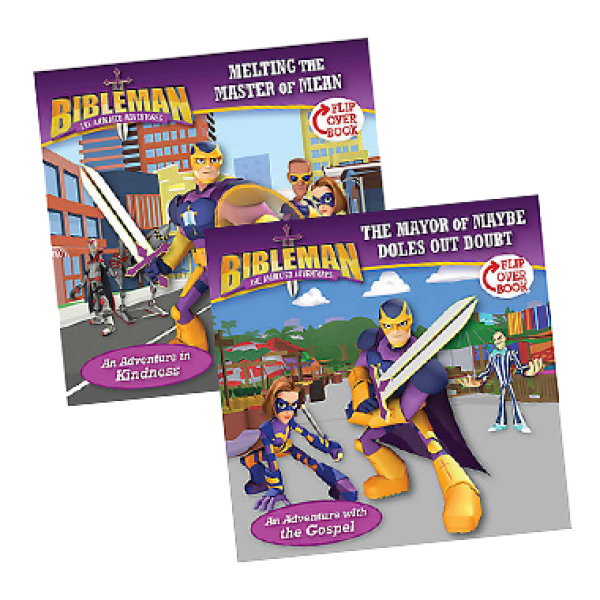 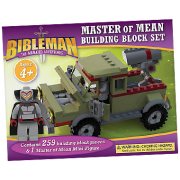 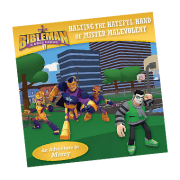 Read about how the Bibleman team uses the power of kindness in Melting the Master of Mean. 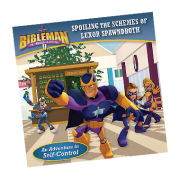 Then flip the book over to see them use the Gospel to take on a new villain in The Mayor of Maybe Doles Out Doubt.